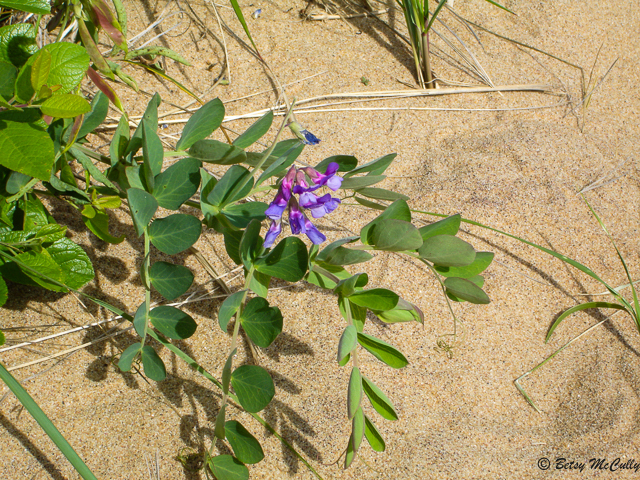 Beach pea (Lathyrus japonicus). Fabaceae family. Beaches (above high tide line) and dunes. Widespread on Long Island. Napeague Dunes, Long Island, 2006.